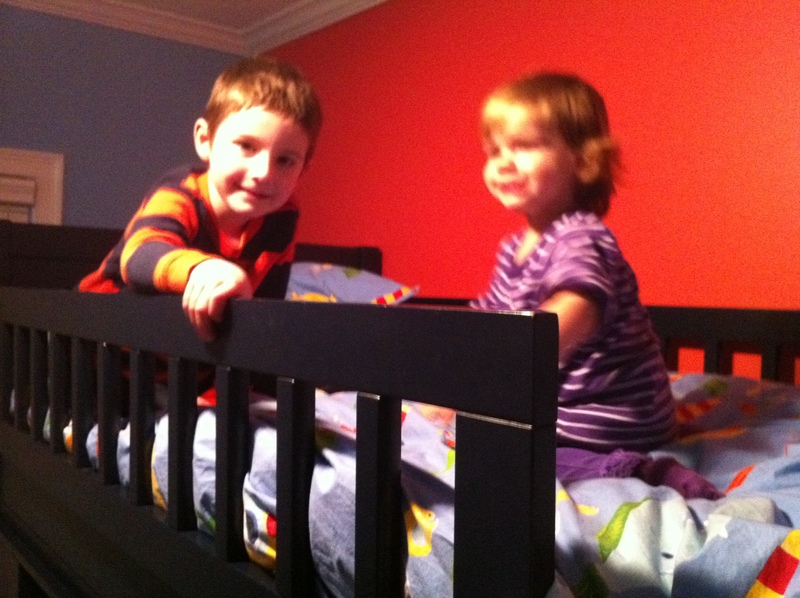 2012-01-29: Here's some pictures of the kids doing things, probably. IT IS LATE AND I AM TIRED. 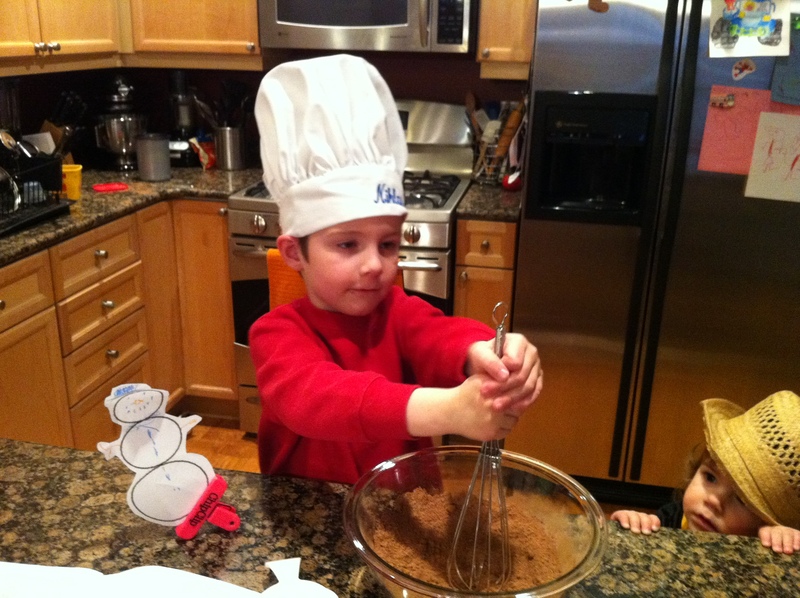 This is Niklas and his snowman, Donald, preparing to make some ice cream. Also featured is some top notch lurking by Zoe. 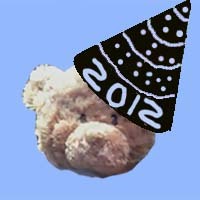 And heeeeeeeeeeeeere come the hats. 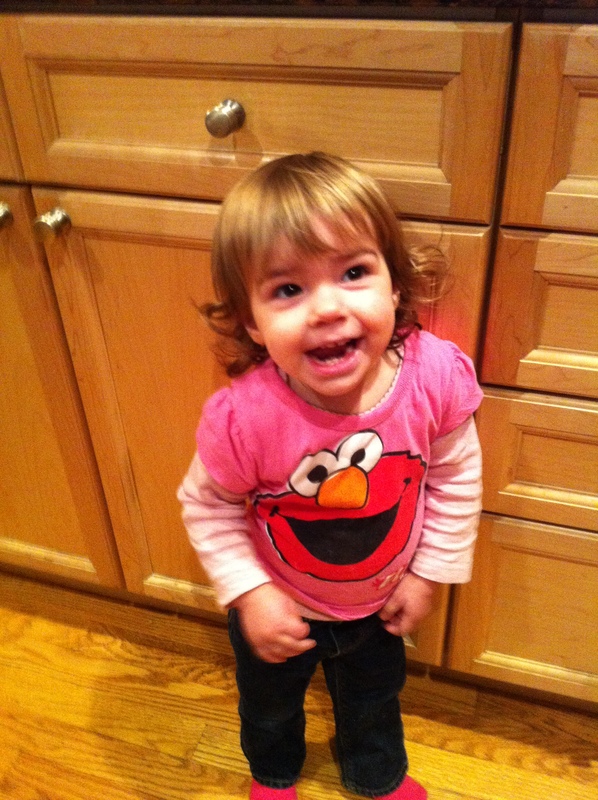 If Zoe's this interested in the TV, Elmo must be on. This is just like the ZZ Top song "Waiting For The Bus", except we're really waiting for a train and it didn't take that long, nor was it crowded. 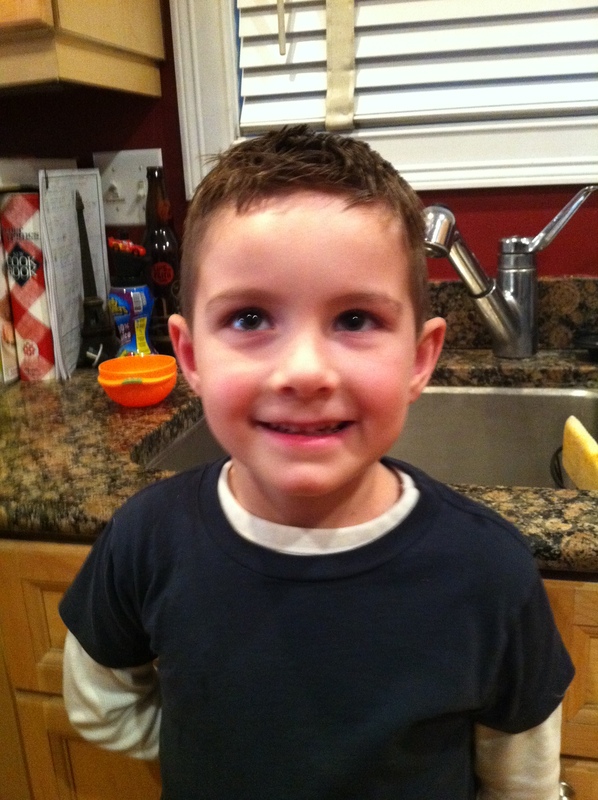 Here's Niklas looking good after a haircut. 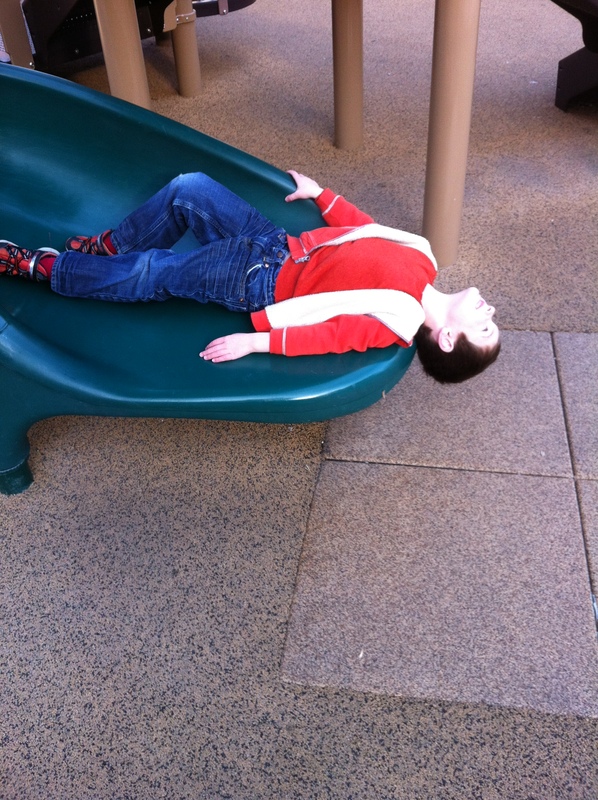 Niklas likes the smell of his hair treatment; the pleasing odor is half the point. This is Zoe looking guilty even though she is, to my knowledge, not doing anything wrong. Now I'm concerned. 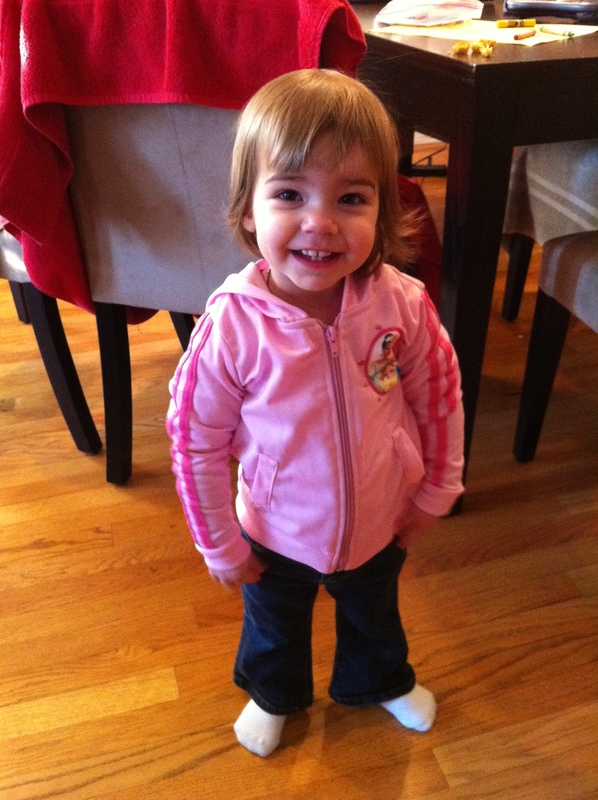 Here's Zoe just cold looking cute. 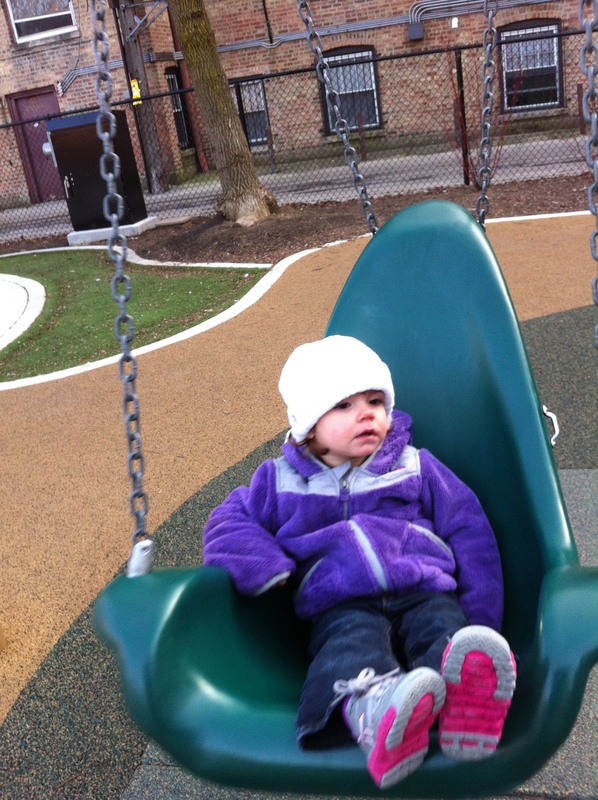 The cold cannot stop Zoe from enjoying some loungey-type swinging. 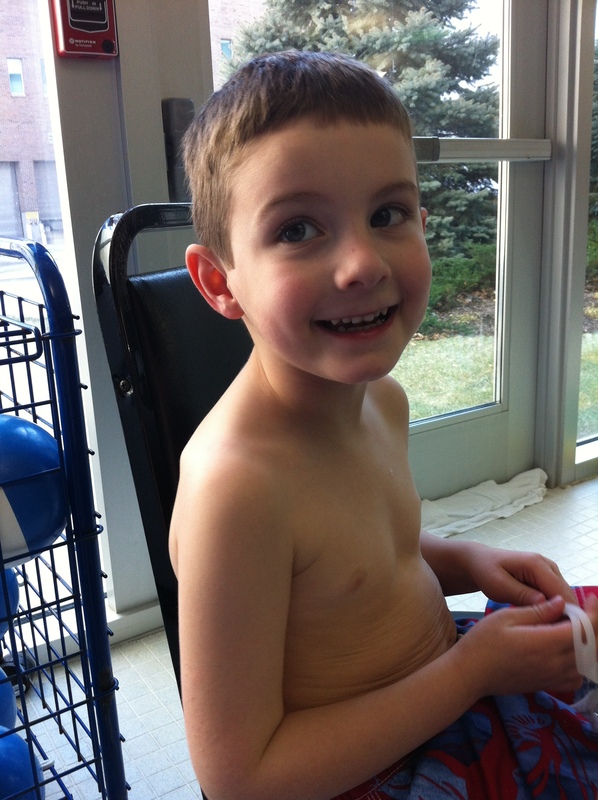 This is Niklas getting ready to hit the pool for his swimming lesson. He's about eight shades whiter than he was when we lived in Bermuda. 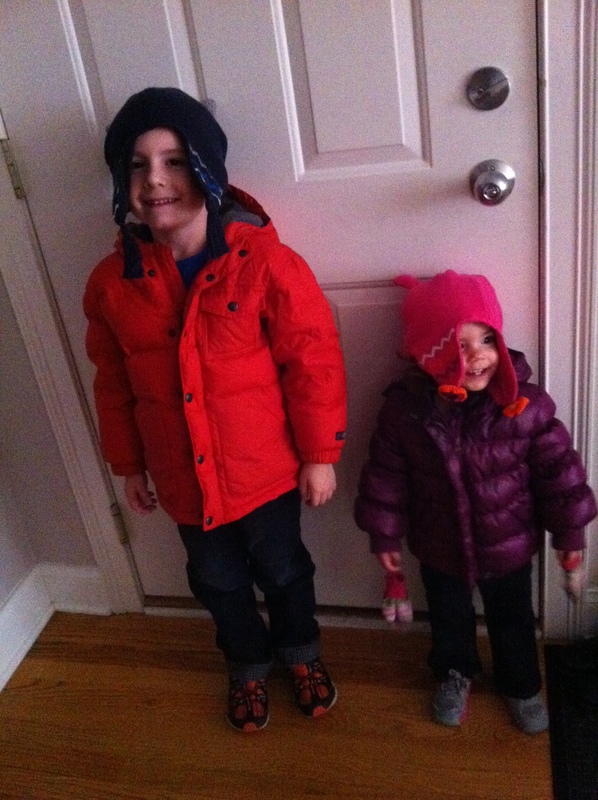 2012-01-22: Well, the freezing/sloppy (how can it be both? madness!) weather of late has curtailed my picture taking for reasons that are well supported by science but which I can not get into here for equally if not moreso scientific reasons of science. Still, here's this. 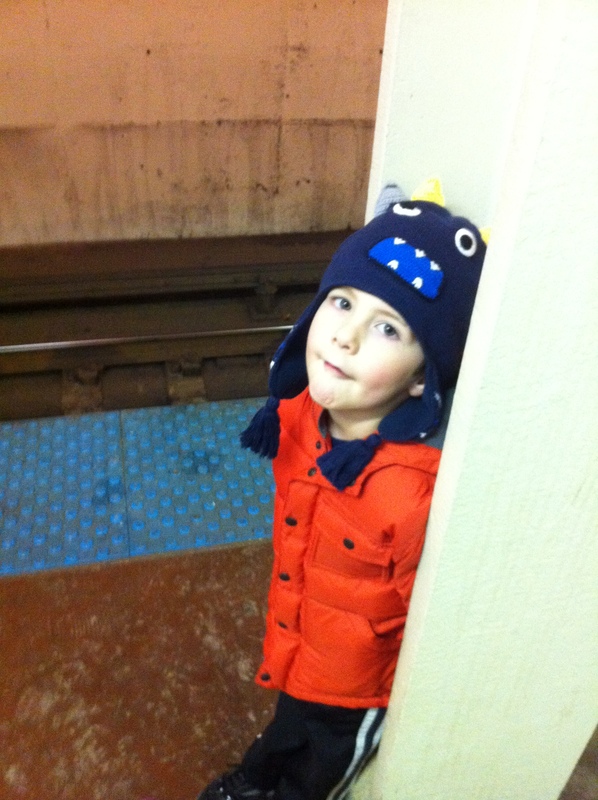 This is Niklas making a goofy face while waiting for the train. Based on this face, you wouldn't think that he always insists we take the train whenever it's even remotely feasible, but there you go. 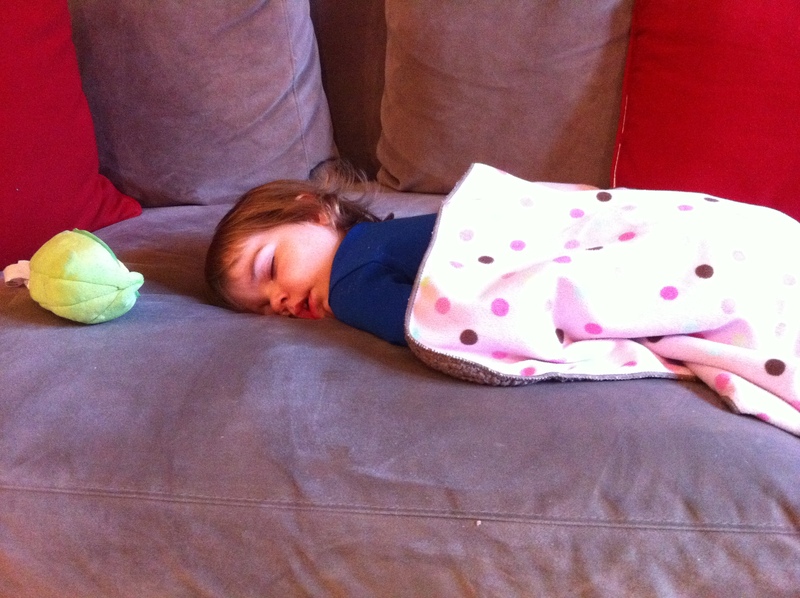 Here's Zoe after being knocked out by a cold. 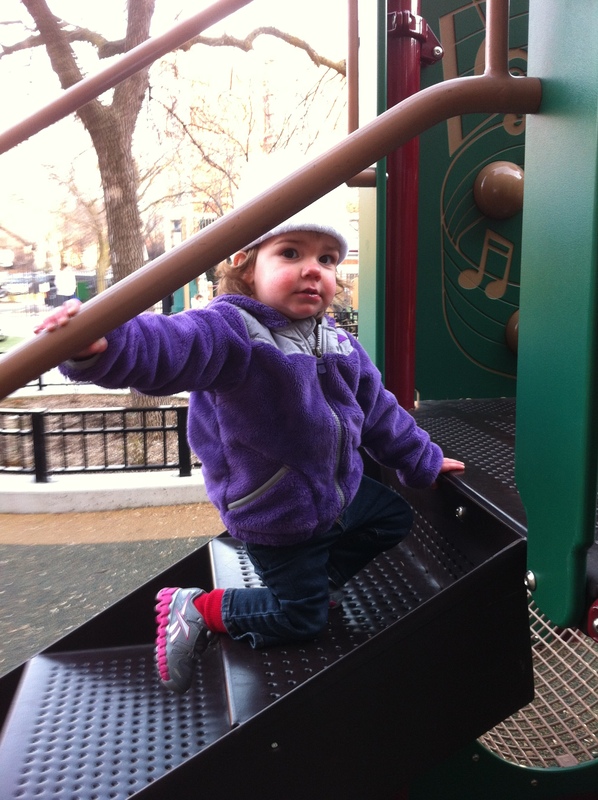 After eventually triumphing over said cold, Zoe resumed her quest to develop new and better methods of tambourining. 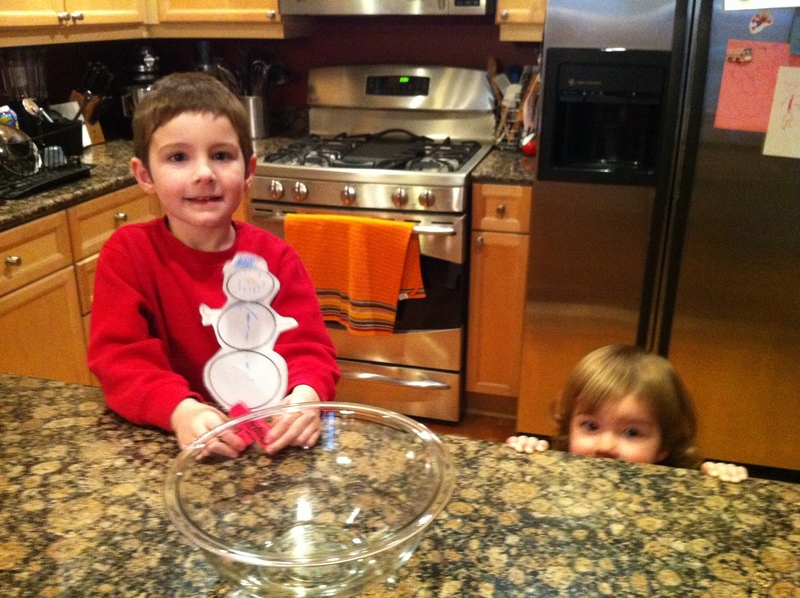 This is Niklas and Donald the Snowman who's part of a school project that will culminate with us making ice cream tomorrow. I could elaborate, but Donald insists that we leave things mysterious. He's not to be trifled with. 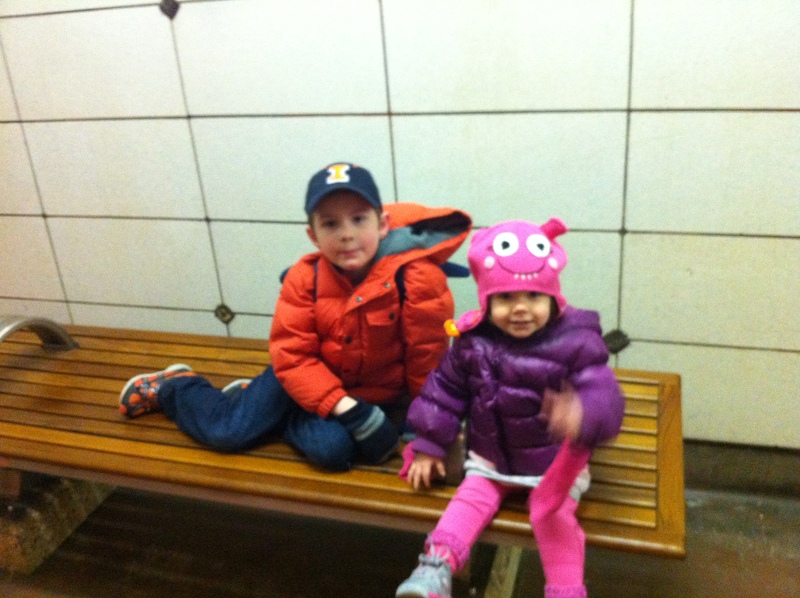 Here are the kids ignoring my demands that they sit down on their bottoms on the train. 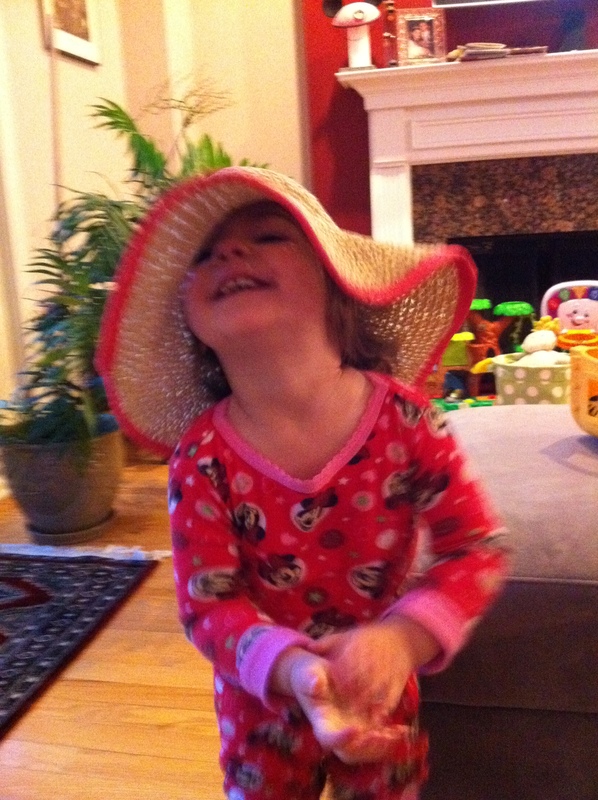 Zoe shows off her new sun hat which likely won't be seen again for months. IT IS SO COLD. 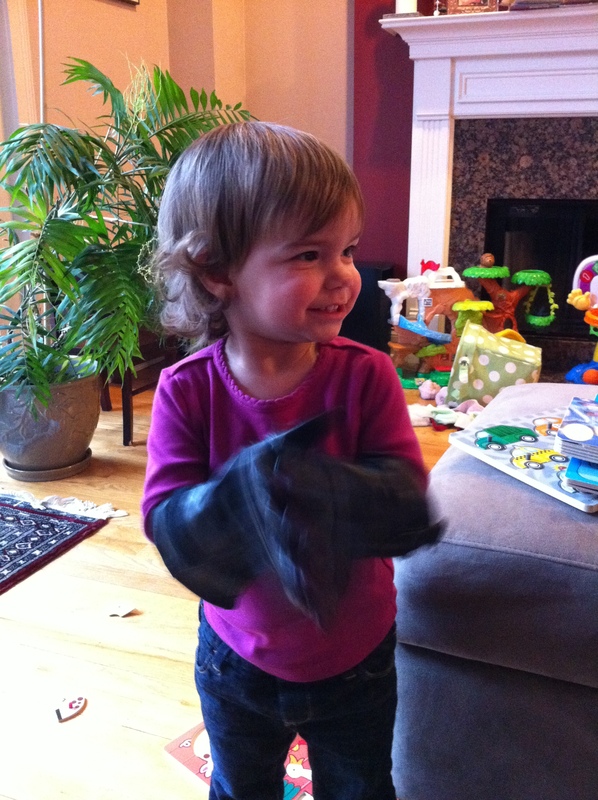 Here's Zoe wearing some of my gloves, presumably for some kind of science thing. 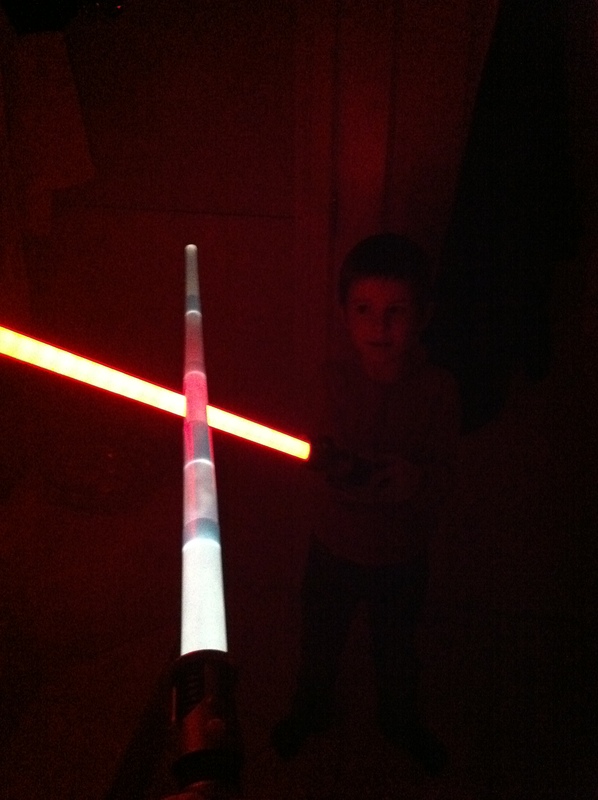 Niklas and I engaged in a lightsabre battle for the ages which thankfully left both of us with full use of our eyes. Here are some Star Wars things Niklas made out of Play-Doh and my (MY) Star Wars cookie cutters. 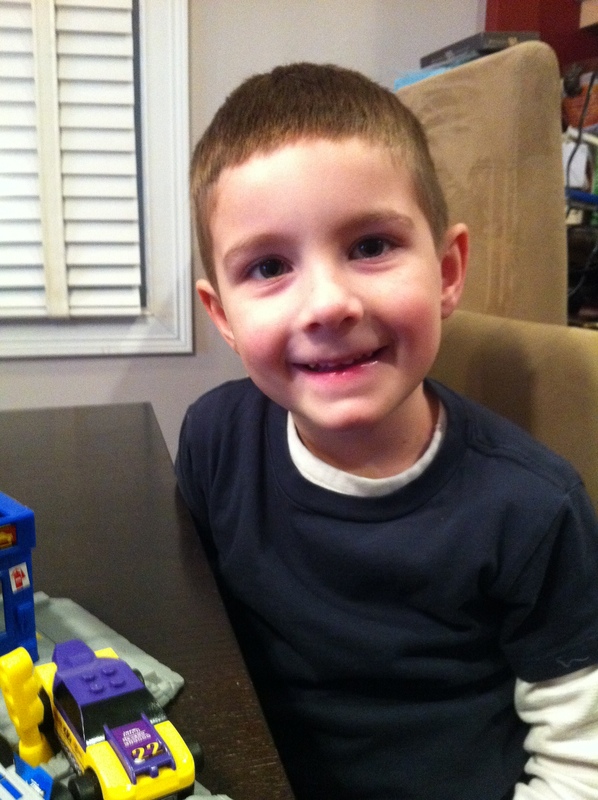 This is some iPhone art that Zoe made today. It's very Jackson Pollocky. 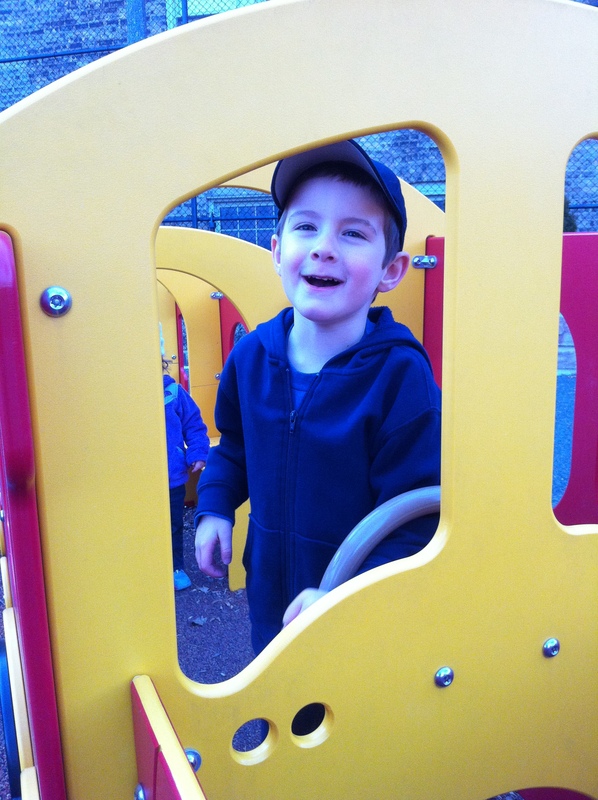 2012-01-15: So here are some pictures of the kids at the playground before the weather turned disastrous. 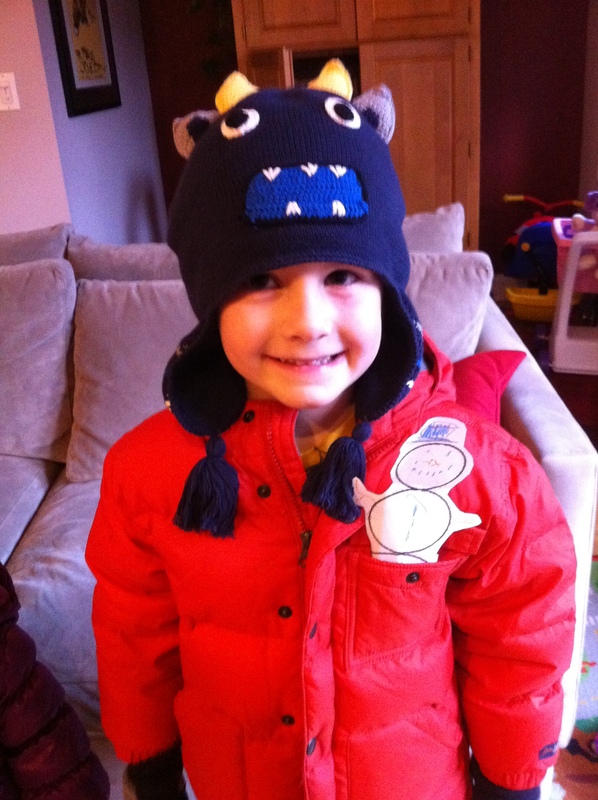 There are also some pictures of them doing some other stuff which is probably unrelated to meteorological events, except for the one where they're wearing the hats, which were required due to the cold. 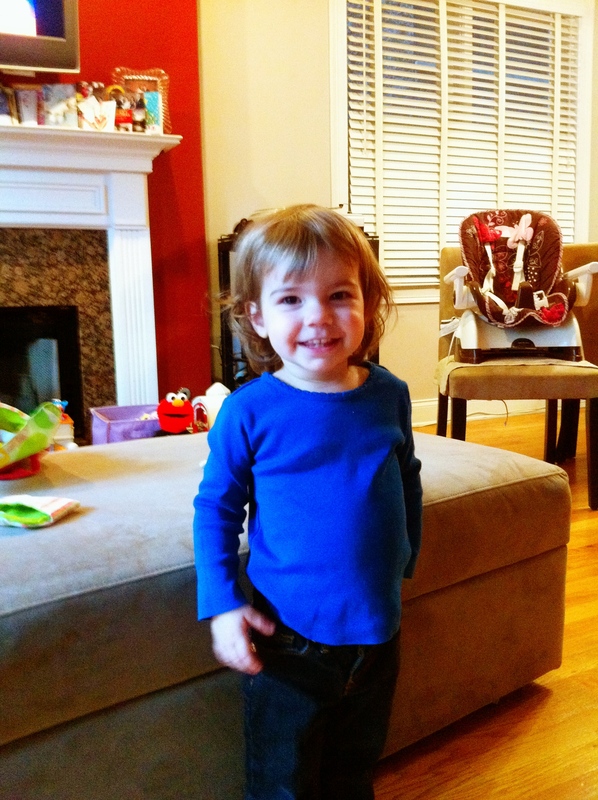 Here's Zoe standing around looking good, as is her wont. 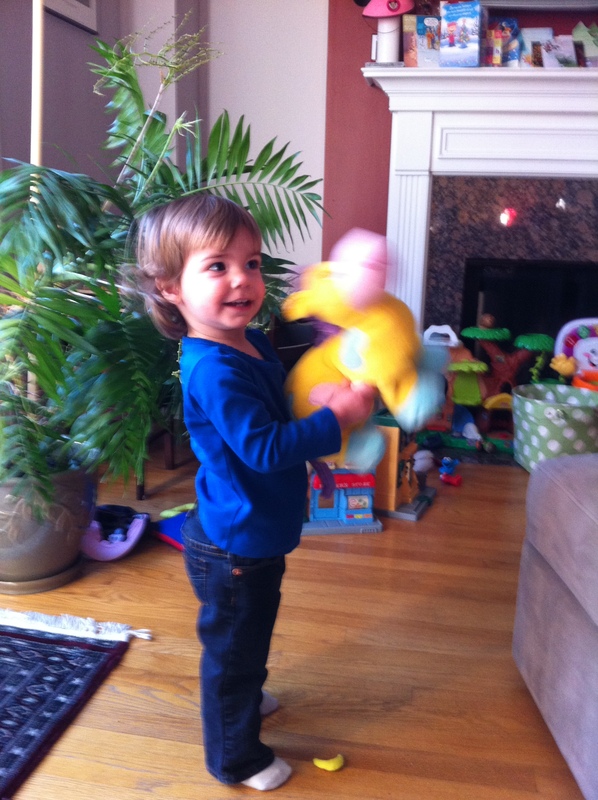 Zoe's a big fan of the weird dinosaur/horse hybrid my grandma got her which is made slightly less weird looking by being out of focus. 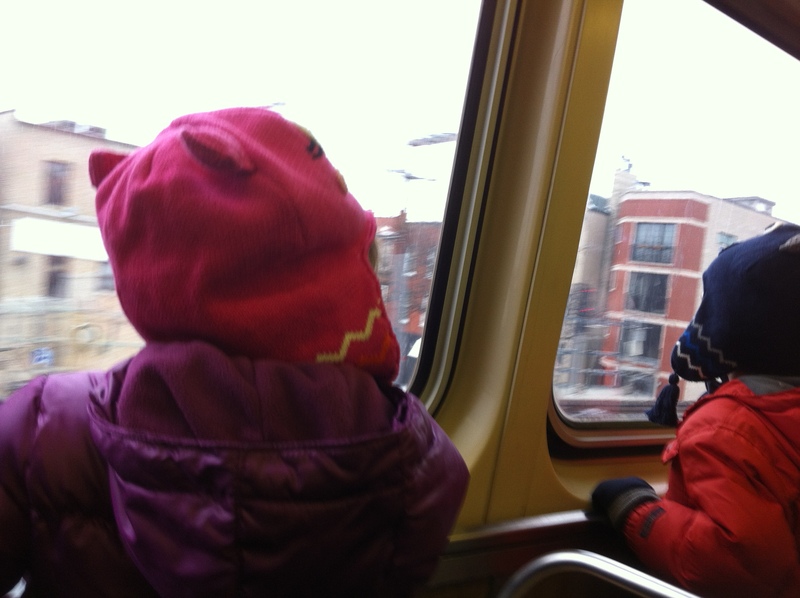 Here are the kids wearing their hats backwards even though they each know the proper fashion in which to wear a hat. 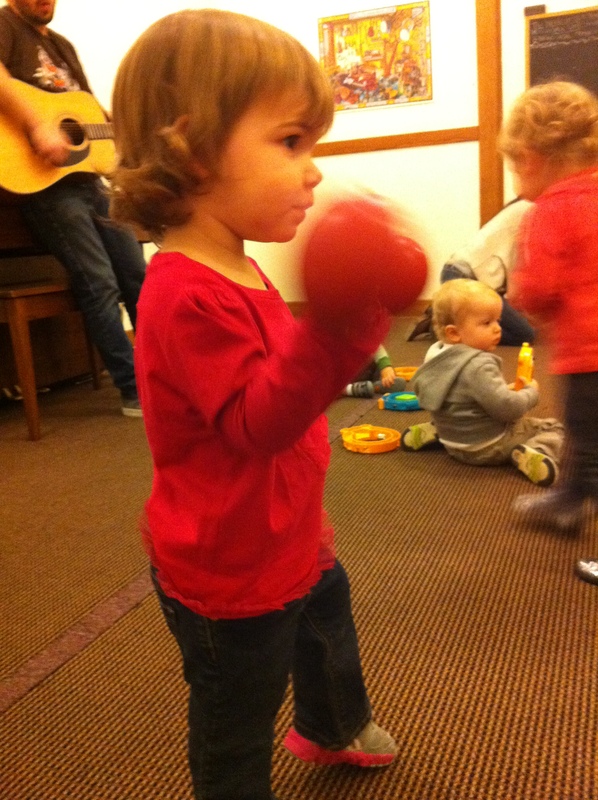 Zoe brings the rock at her music class. 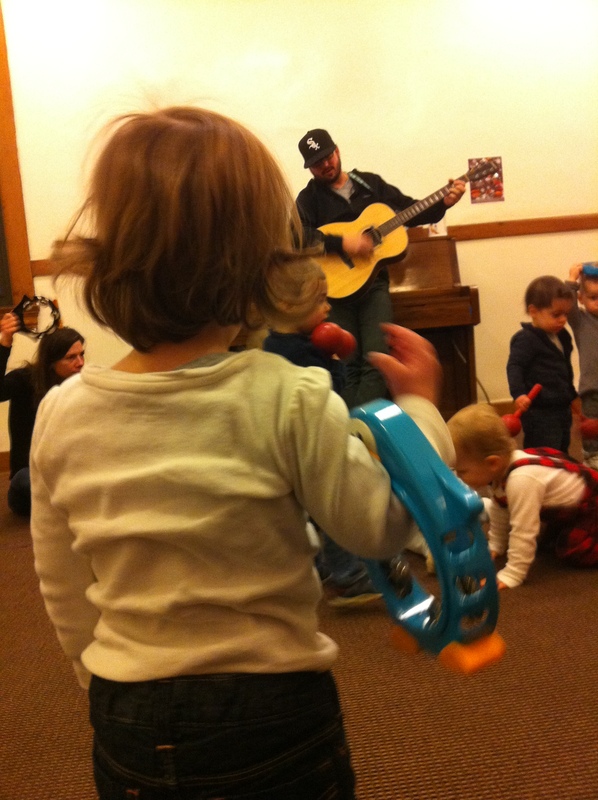 There are a few rock songs that feature maracas. 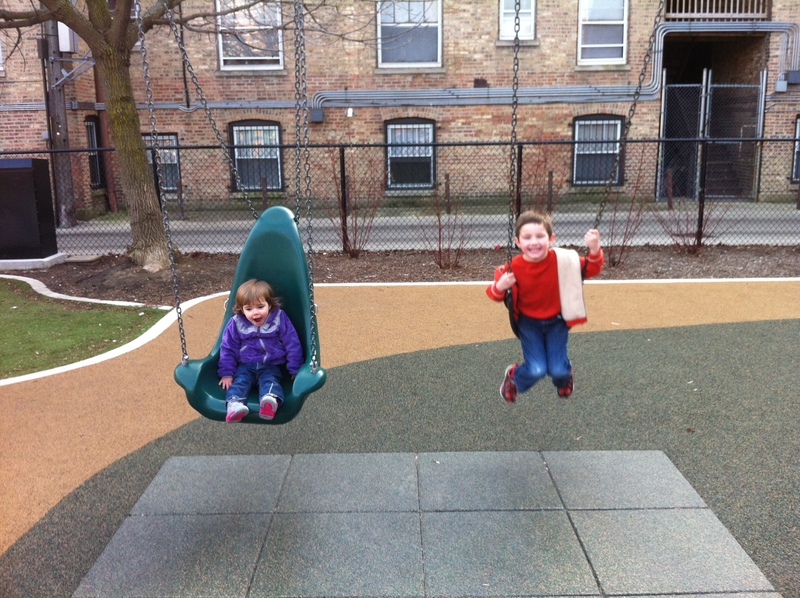 The kids are both fans of the teeter totter. The odd perspective is due to the fact that neither is a big fan of doing any work to make the teeter totter move. As someone who's seen Niklas drive, I advise you to stay off of the tracks if you see him behind the wheel... or whatever it is that trains have. 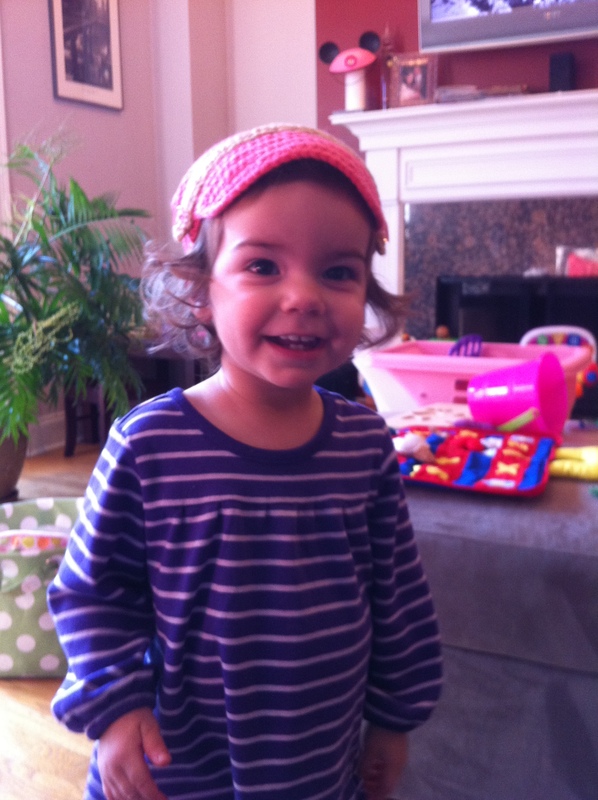 Zoe was walking up the stairs like a big girl until she saw the camera. 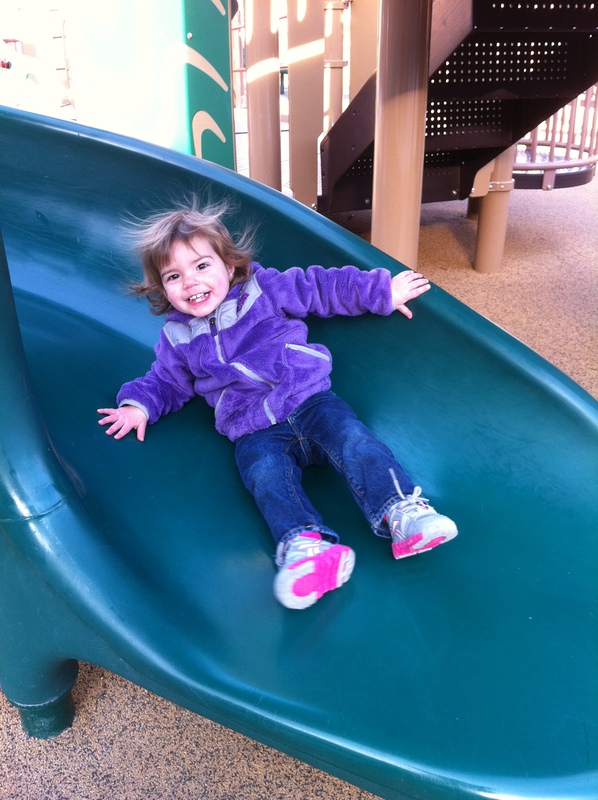 High speed slide awesomeness is awesome. I can't pull this look off. It's a good thing Zoe's around to take care of such things. 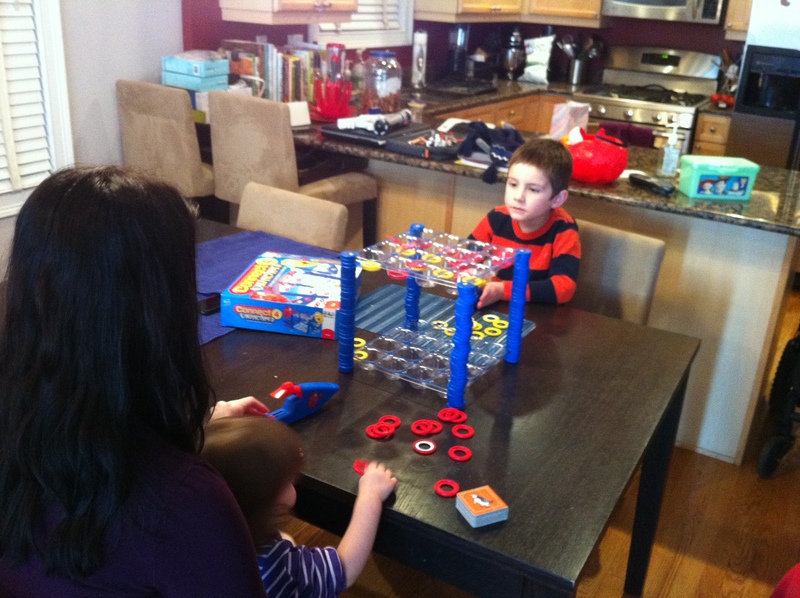 Niklas and Andrya face off in a battle to see who can toss the most rings on the floor. That's probably not the way the game is supposed to work, but so it was. At least half of these people are allowed to be on the top bunk. 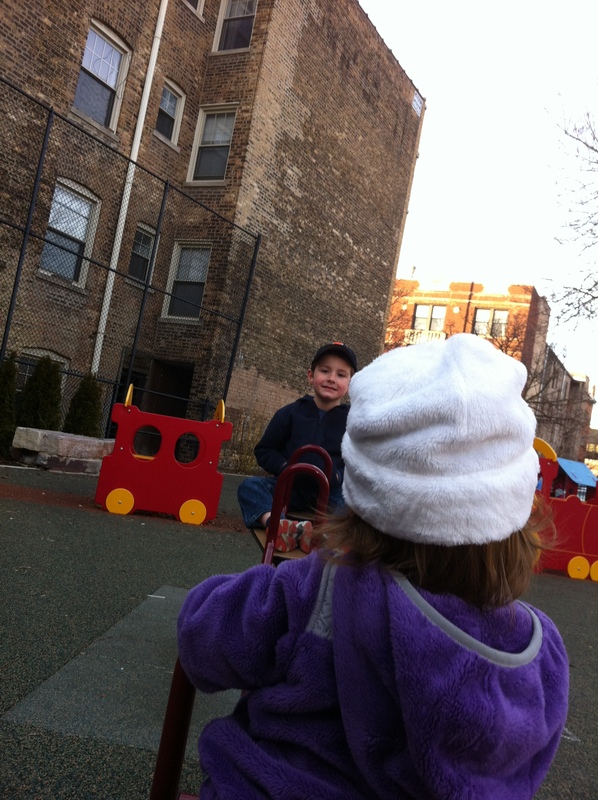 2012-01-08: It's been unseasonably warm here of late, so I've taken the kids to the playground with the hope that they would burn out all of their energy there and not bust up my house. That almost half worked. 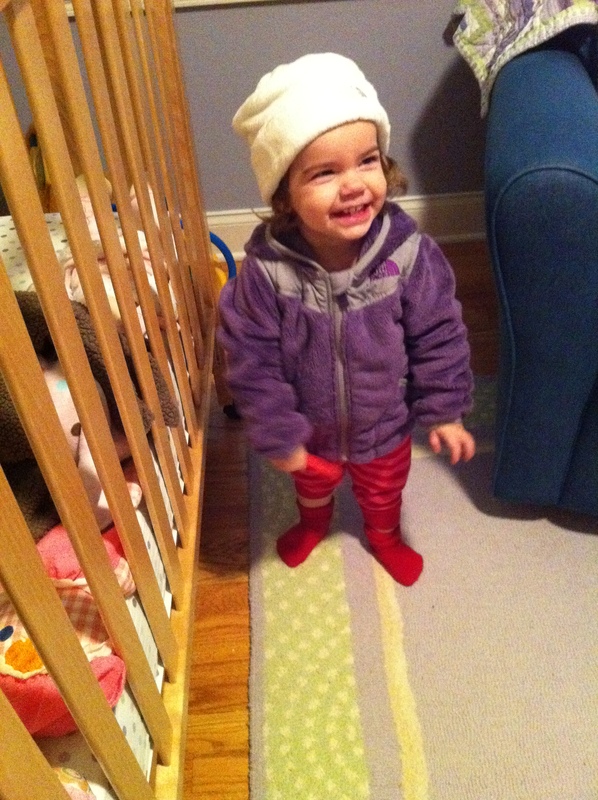 Here's Zoe showing off the awesome coat and hat she got from the Halls. 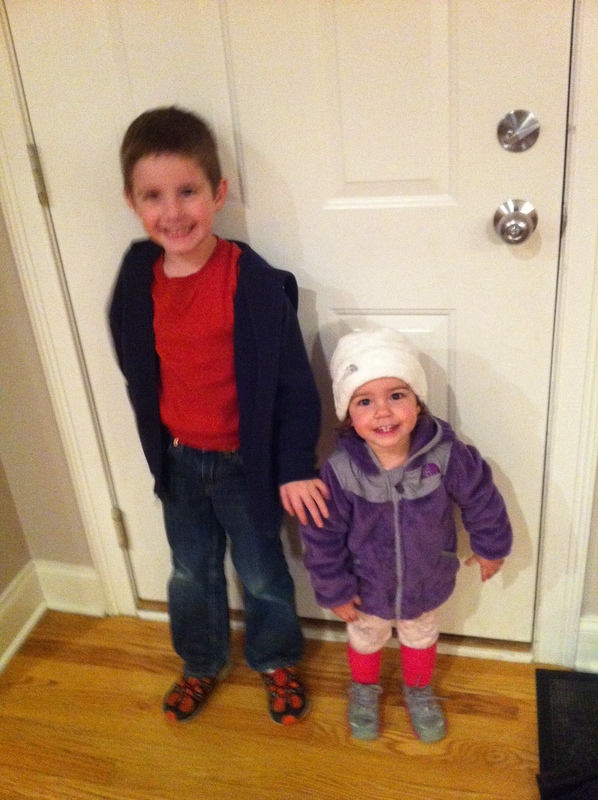 I probably won't pair them with pajamas that often. 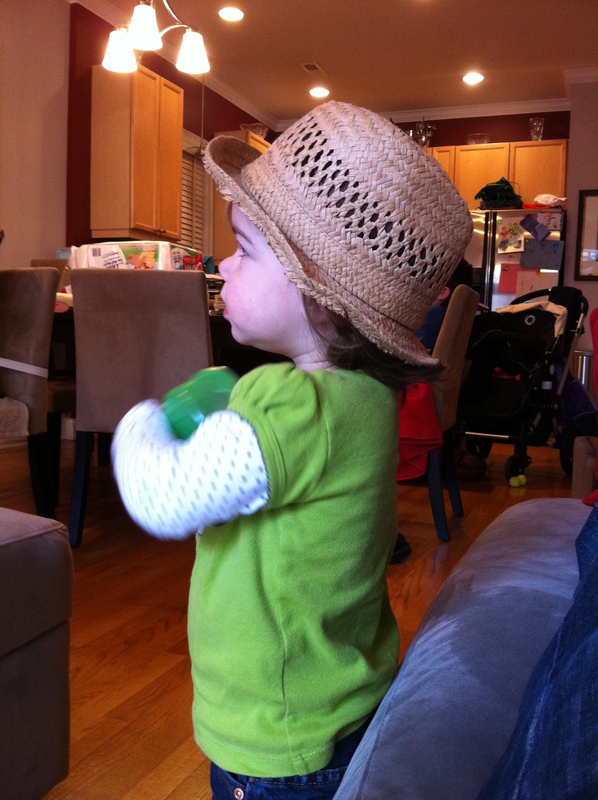 Here's Zoe practicing her "pro wrestler with a chain or something in her tights" move. 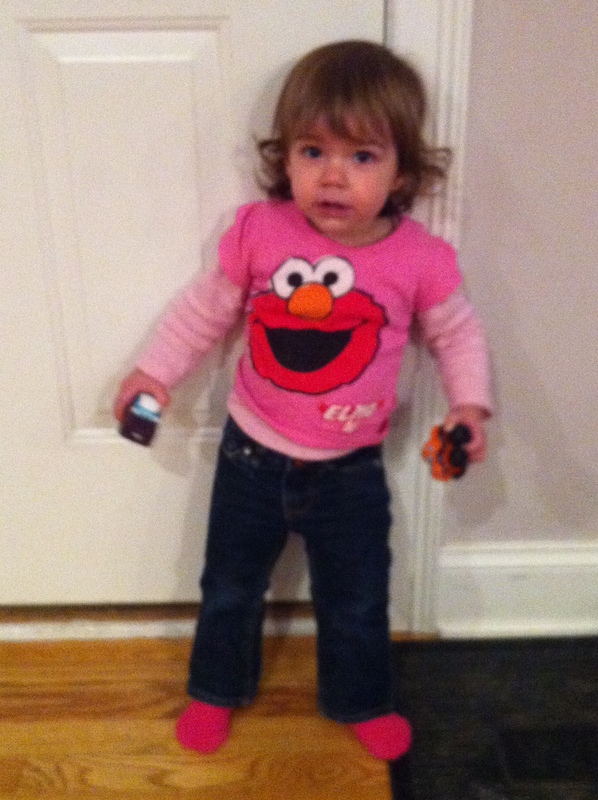 This is Zoe just standing around, looking good. 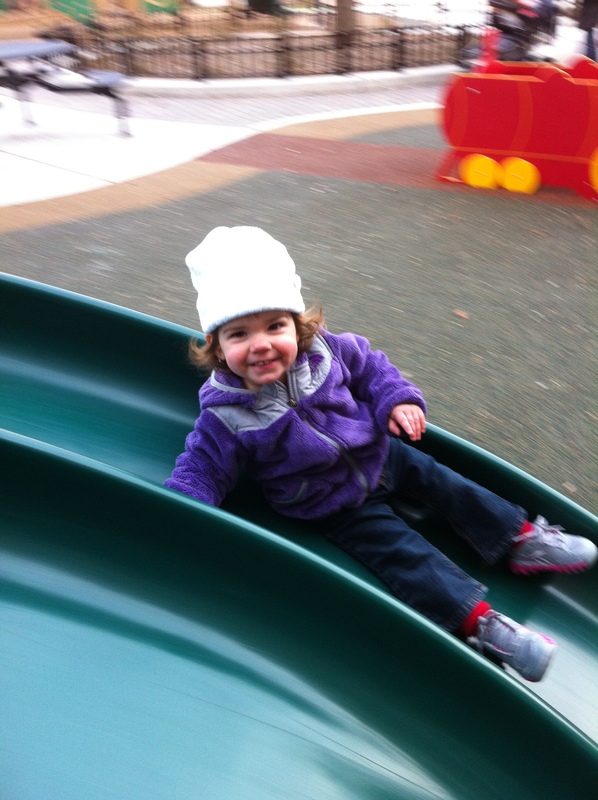 Despite appearances to the contrary, this trip down the slide was a success. So I lied, here's that coat paired with pajamas again. Niklas vs His Shirt: Quien Es Mas Macho?. 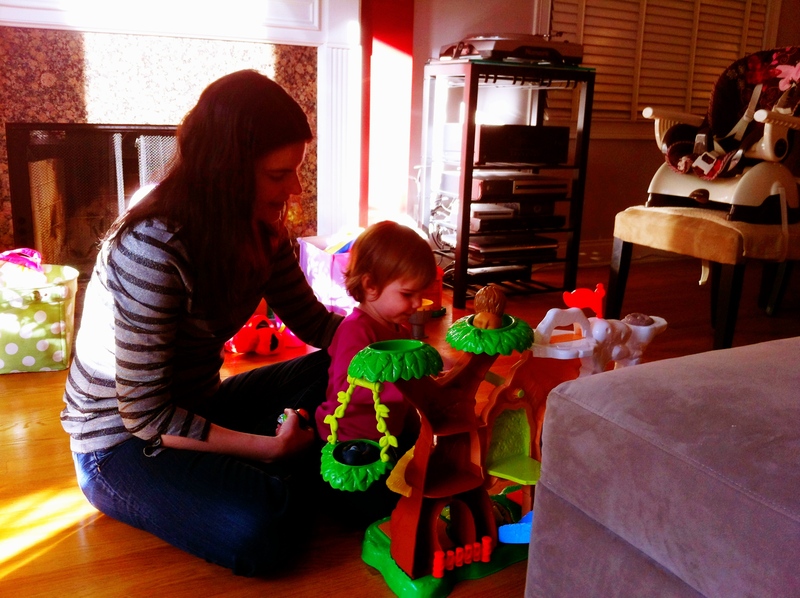 Here are Andrya and Zoe playing with the zoo Josh got Zoe for Christmas. 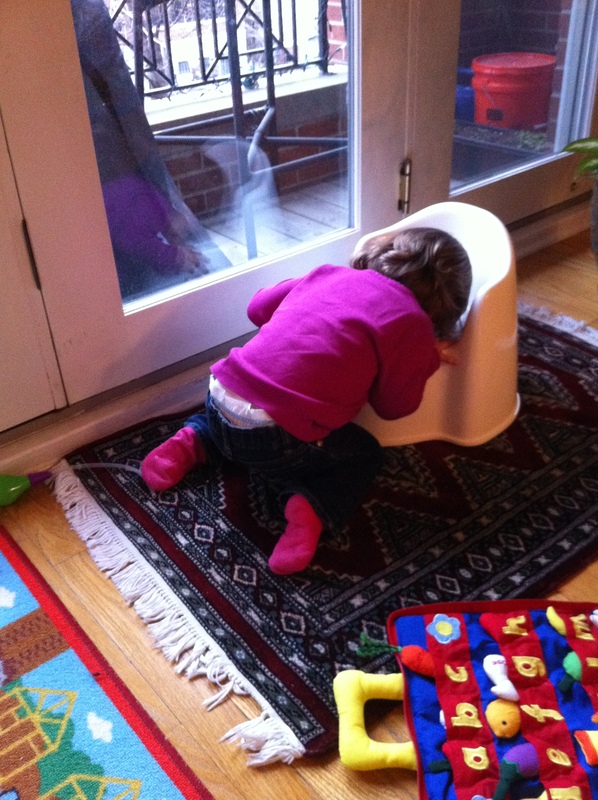 Zoe's been all about the potty lately. 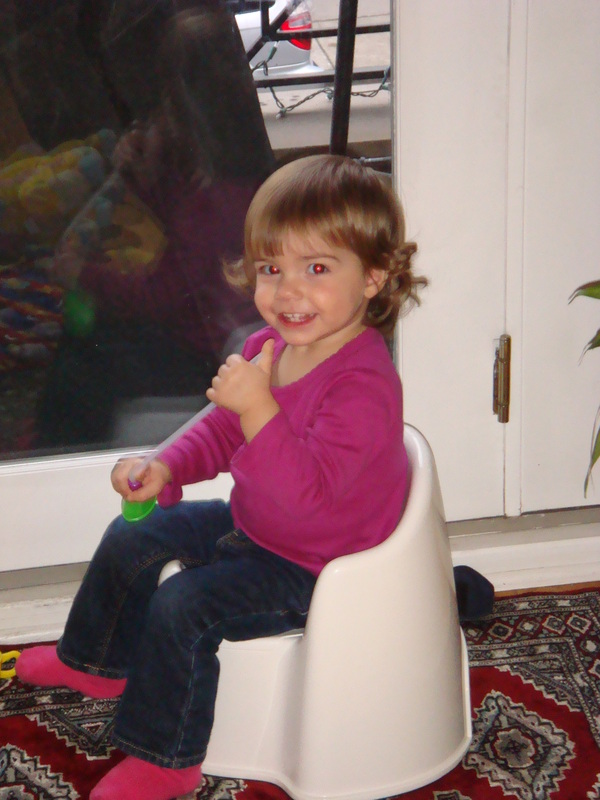 Not using it, mind you, just sitting on it. 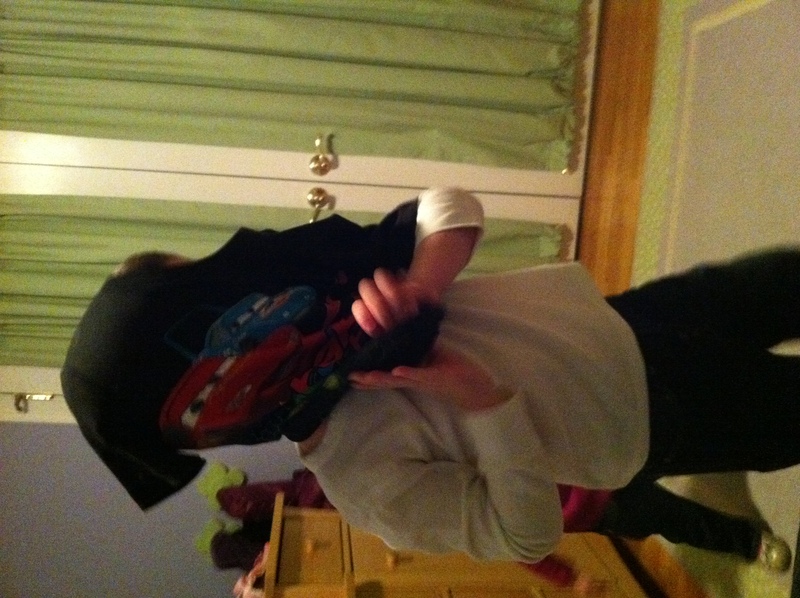 Oh, she's also been practicing for college.